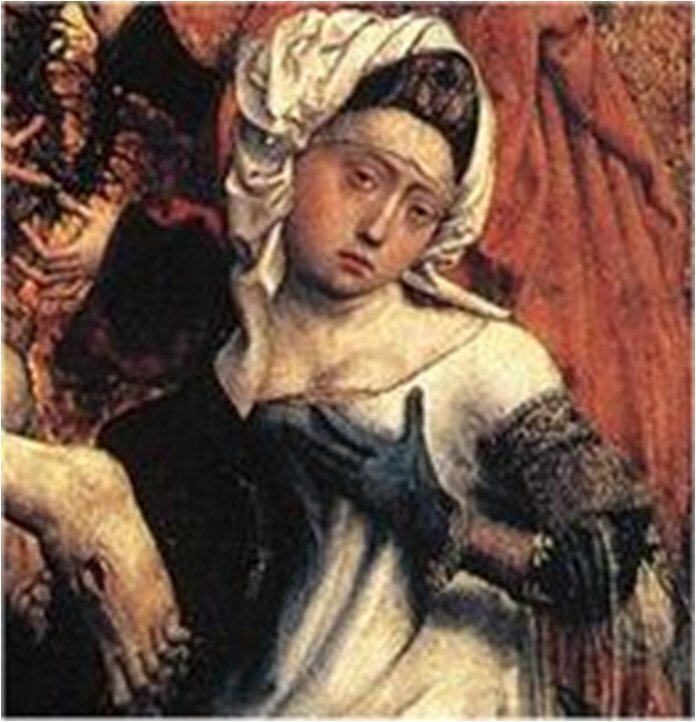 And here’s Mary Magdalene clutching her breast. She’s at the foot of the cross. This painting hangs in the Louvre in Paris.